1. Carpet. In our home, my wife and I frequently vacuum as a part of our normal cleaning routine. It’s unbelievable how much dirt, dust, and debris are in the container after we’ve finished. If you have a pet, you’ll notice even more. Confirming the company you select carries insurance. 2. Base boards. Have you ever looked behind your entertainment stand? If so, you probably found a significant amount of dust on the base boards. Or how about your kitchen base boards? Do they have food particles or spilled juice on them? Now’s a good time to wipe down all the base boards in your home. 3. China cabinet. Have you gone through your china cabinet lately? My guess is, probably not. We recently updated our kitchen. As part of the process, we went through ours. Not only was the glassware full of a thick layer of dust, and the silver tarnished, there were many items we haven’t used in a long time. With wedding season right around the corner, now’s the time to purge. Consider donating your unused items to local charities or collection centers. 4. Dryer vent/lint trap. Between 2010-2014, U.S. fire departments responded to approximately 15,970 home fires that resulted from dryers or washing machines. Lint is extremely flammable and can cause a fire in your home resulting in significant damage. To prevent this from happening to you, consider cleaning your dryer vent and ducts at least once a year. If you can’t easily do this, consider hiring a professional. Your lint trap should be cleaned before or after each load. 5. Blinds. While, we clean every week, our blinds are neglected. We open and close them every day but fail or pretend not to see the dirt and dust. Look at yours. I’ll bet you’ll be surprised on how dirty they are. And don’t forget about your curtain rods. 6. Windows. Rather than wait for the flies to come back to life, clean your window sills and the screens if they’re dirty. 7. Bathroom vents. Bathroom vents are important for removing the steam from your bathroom after a nice, hot shower. However, over time they become covered in dust. Wipe them down with a damp rag or use your vacuum. 8. Light fixtures and ceiling fans. Ah, the first warm day has arrived. You decide to turn on your ceiling fan for some circulation, and dust starts flying everywhere. Enjoy your first warm day by cleaning them now. 9. Shower curtain/liner. Bathrooms are very conducive for mold growth. If your shower curtain has changed from white to pink, red, black, or dark green, you’re growing mold. Now’s the time to buy a new one. 10. Light switches, door handles, and hand rails. It’s always good to sanitize these items after you or a family member have been sick. If time hasn’t previously allowed you do this, add it to your list. Here are some cleaning hacks for tackling other areas of your home. Clean your dishwasher with vinegar. Use lemon to remove watermarks on your shower doors. Remove grease build up on your kitchen cabinets with soap. Remove pet hair from surfaces with a rubber glove or squeegee. Clean your windows with old newspaper. Descale your shower head and faucets with vinegar. Microwave a bowl of lemons and water or cider vinegar to get rid of tough odors and stains. Check out some of our other blogs for more tips. Here are some things to watch for and to discuss with your teen driver(s). Potholes can cause significant damage to your car if your teen driver hits them straight on. This can include damage to your tires, rims, suspension, exhaust system, and steering. All drivers should be leery of what’s hiding under a puddle of water. Always try to steer around a large puddle if you can safely do so. Never swerve as this could put you in the path of an oncoming car. Windshield wipers are a critical component, but they’re often neglected. They take a beating from the sun, cold, snow, and rain. Make sure you change the windshield wipers on your cars every six months. Doing this ensures the best vision possible. Check your car’s tires to make sure they have adequate tread to push the water away from the tire. Also, never use cruise control on a wet surface. In Wisconsin, orange road construction barrels have started making their way onto our freeway system. It’s important to obey reduced speed limit signs to keep the construction workers safe. In addition, it’s important to watch for changing traffic patterns. Skid prevention and control – Teaches how to react and handle a car if you lose control. ABS vs. threshold braking – Teaches the difference between the two and how to effectively use ABS brakes. Never pump ABS brakes! 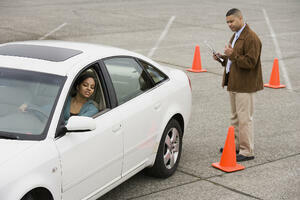 Collision avoidance maneuvers – Teaches how to make aggressive lane changes while keeping your car in control. 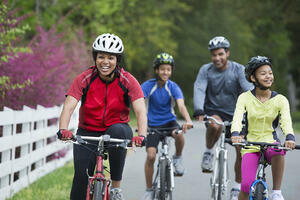 Proper vision skills – Teaches where to look, proper mirror use, and viewing traffic situations from a distance. This program is offered several times during the year at Road America in Elkhart Lake, WI and runs from 9:00am to 4:00pm CST. If you don’t live in the area, consider finding an advanced driving school near you or visit Road America in Elkhart Lake, Wisconsin. I’m sure you’ll enjoy it. March is pet poison prevention awareness month. This is a great opportunity if you’re a new or a veteran pet owner to learn or be reminded about the different items around your home that can be dangerous to your furry friend. Or, if you’re traveling on spring break this year, please make sure your pet sitter is aware of dangerous items as well. As the owner of an orange tabby cat named Toulouse, I’m always amazed and what he finds on the floors around our home. If anyone has something that he’s interested in, we can’t turn our backs on him for one second. If we do, he’s on it. Here are some things around your house that can be dangerous and lead to potentially life-threatening situations. Outdoor items. As you work to get your lawn, flower beds, and gardens ready to grow, don’t forget to use caution with fertilizer. If you spill some, clean it up immediately. Keep fertilizer in a closed, locked cabinet if you have children or pets. Additional dangerous items include rodenticides and insecticides. To see the top pet poisons for your cat or dog visit the Pet Poison Helpline. Most people probably don’t give much thought to how many devices are plugged in at any given time. Did you know that approximately 4,600 home fires start as a result of extension cord and power strip overuse each year? These fires account for 70 deaths and 230 injuries. Before I share some safety tips, I’d like to explain the difference between each. While this may seem like common sense, it’s important to understand they’re slightly different. Have you ever gone to the store wanting to buy a surge protector and when you got home your realized you bought a simple power strip? This happened to me with the mass confusion while trying to set up my daughter’s dorm room. Contain internal components which can prevent spikes and surges in power from destroying your devices. If ordering online or buying at your local hardware store, always read the product description to make sure you’re buying the right one. Personally, I’d recommend buying a surge protector for all your household needs. This way you’re not left guessing if your devices, TVs, computers, etc. are protected. One common misconception that I had is that surge protectors provide protection against lightning strikes. I’ve learned lightning strikes are simply too powerful. Surge protectors provide protection from current fluctuations that travel down your power line. Here are some things you can do to keep your home and family safe. Never use power strips or surge protectors for high-power capacity items such as, space heaters, dehumidifiers, or other high capacity appliances. Plug them directly into a wall outlet. Don’t connect multiple power strips together to increase the number of outlets available. However, you can temporarily plug an extension cord into a power strip. If you’re using power strips or extension cords in multiple places in your home, consider hiring an electrician to install more outlets. This is a safer alternative because the wires in your wall are of higher quality. Multiple extension cords or power strips was always my dad’s pet peeve back in the day when he was an electrician. Never use power strips or extension cords in a bathroom or on the kitchen counter top. Do the math. Try to determine what the power strip can handle by looking at its specifications on the package. The most important number is watts. The higher the number, the better. Add up the number of watts used by the devices you’re plugging in. This number should not exceed the total number of watts specified on the package. If buying a surge protector, look at the suppressed voltage rating as well. A lower number will provide better protection against surges. If you’re like me and don’t like math, talk to someone at the store that understands them. Don’t just look at price. Make sure you’re buying the correct one for your household needs and that it’s certified. Never try to prevent trip and fall hazards by covering cords up with a rug. Repeatedly stepping on them can cause cords to breakdown, which could lead to a fire. Here are some ways to prevent or tell if your power strip is overloaded. Surge protectors are great because they provide several outlets. However, depending on what you’re plugging in, not everyone should be used. Most things we plug in such as a phone, computer, or gaming console don’t use much power. Items found in your kitchen such as a toaster, crockpot, or skillet would draw more power and could potentially cause issues. If the power strip or surge protectors feels hot, this is a good sign that you have too many things plugged in. Watch for burn marks or melted plastic. 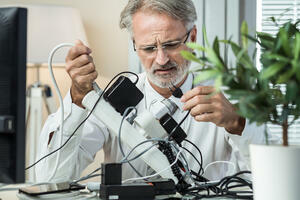 Before plugging in your next electronic device, look at what’s going on with your power strip or surge protector. Today the average new car costs about $36,000. According to a recent Edmunds.com report, the average car loan is 69.2 months. That’s almost six years. Data also suggests that 84-month loans have increased significantly over the last several years. Unfortunately, bigger and longer-term loans don’t have an impact on vehicle depreciation. Carfax.com showed the current depreciation value of new vehicles might drop by more than 20% in the first 12 months of ownership. Trusted Choice indicates some vehicles could depreciate as much as 30% the first year; 11% of that occurs the moment you drive off the lot. Depreciation can be a major factor if a vehicle is totaled after an accident. And it could leave you stuck with a loan for a vehicle you can no longer drive. This is because most auto policies have “Actual Cash Value” (ACV) coverage. For instance, let’s say that a $36,000 car depreciates 11% the moment you drive off the lot. Now it’s worth only $32,040. If your car is totaled in a loss, insurance will only cover the actual cash value, or $32,040. But if your loan is still $36,000, you’ll have to pay the difference of $3,960 out of your own pocket. Naturally, people aren’t happy in situations like these; many don’t realize how quickly vehicles depreciate. Fortunately, there’s a way to remedy this situation. West Bend’s Home and Highway® policy offers “Auto Loan Lease” coverage to fill that gap, as do many dealerships. This is a great product to purchase, especially if you don’t have a big down payment on the new purchase. In addition, companies offer a time threshold in which to purchase this coverage. 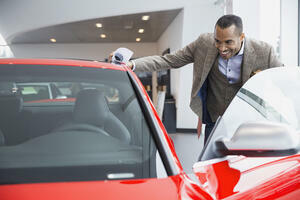 So, the next time you buy a vehicle and need a loan to do it, think about purchasing Auto Loan Lease or gap coverage. It could be one of the best insurance investments you make. Author Bio: Nick Unger is a senior Personal Lines underwriter who has been with West Bend for 10 years. He was also an agent for 5 years. He enjoys bow hunting, baseball, football and spending time with his family. His true passion is coaching and watching his son play baseball and soccer.